https://www.golfdiscount.com/taylormade-m5-driver?___store=default 153473 TaylorMade M5 Driver https://media.golfdiscount.com/catalog/product/t/a/taylormade-m5-driver_01.jpg 549.99 549.9900 USD InStock /Golf Clubs /Golf Clubs/Drivers /Golf Clubs/Drivers/Men's /Golf Clubs/Drivers/Left Hand /Brands/TaylorMade /Brands/TaylorMade/Drivers /Brands/TaylorMade/2019 M Series /Brands/TaylorMade/2019 M Series/M5 /Brands/TaylorMade/2019 M Series/Drivers /Featured Products/Free Shipping Upgrade The TaylorMade M5 Driver takes speed and forgiveness to a whole new level with a Speed Injected Twist Face and inverse T-Track. Every TaylorMade M5 driver head has been individually injected with tuning resin to reach performance levels at or near the legal limit of C.O.R. Whether you’re fighting for your club championship or battling it out in your weekend match, you’ll be playing with a driver that’s engineered to make every golfer faster. As Tiger Woods said, "At the end of the day it's a game of misses. You're not going to hit every shot perfect...You have to be able to manage your misses. Anytime you have a proudct that helps you manage your misses is a superior product." 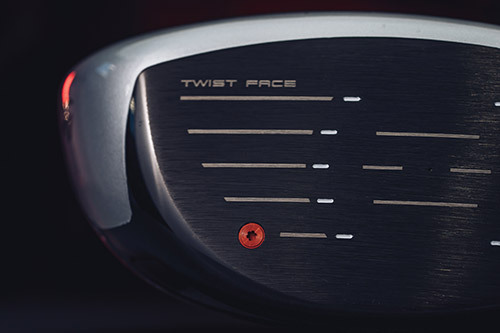 The TaylorMade M5 Driver takes speed and forgiveness to a whole new level with a Speed Injected Twist Face and inverse T-Track. Best driver I have ever hit. I&#x27;m in western NY so have only gotten to use my new M5 in 3 rounds, after tweaking the settings at the range. I previously hit a Ping 400 draw driver. I have hit the M5 MUCH further on strikes that were in the center of the face, one as much as 65 yards further. I find it easier to hit and more consistent. Strikes high on the face still get good carry. I&#x27;m almost 72, and have definitely regained some distance, which means on good drives, I am back to reaching a par 4 green with an 7, 8, 9 or pw. Highly recommend the M5.